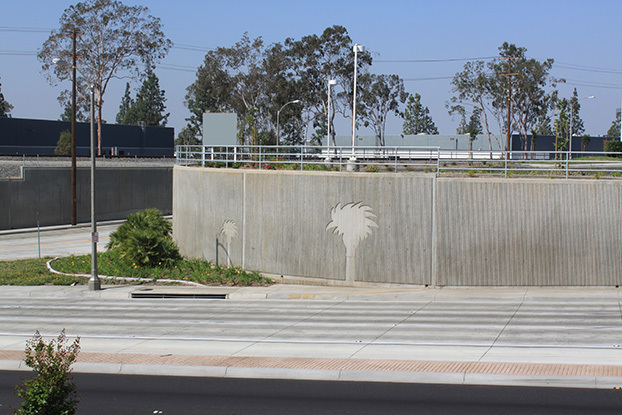 Valley View Avenue is a major regional arterial that is the main access from the I-5 Freeway corridor to the Cities of Santa Fe Springs and La Mirada. 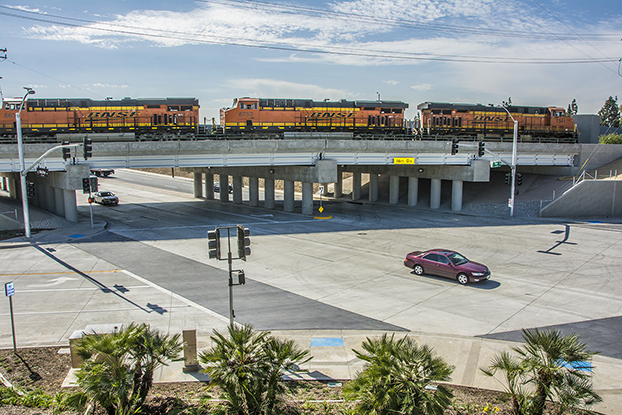 The arterial services 40,000 vehicles each day while crossing the BNSF railroad corridor that carries more than 130 daily trains. 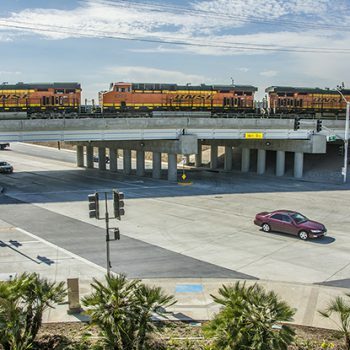 These high volumes create a conflict between vehicles and trains resulting in motorists’ delays as hundreds of hours are spent waiting for trains to pass. 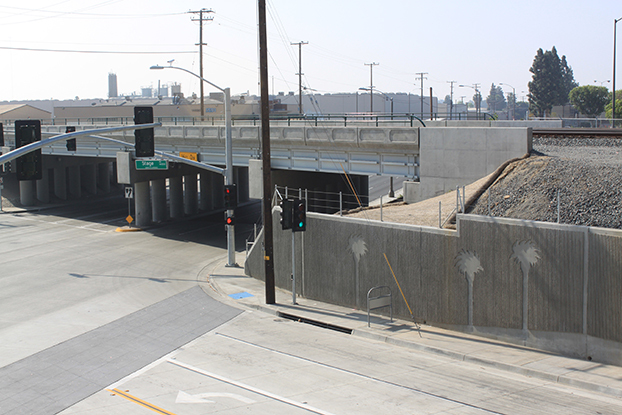 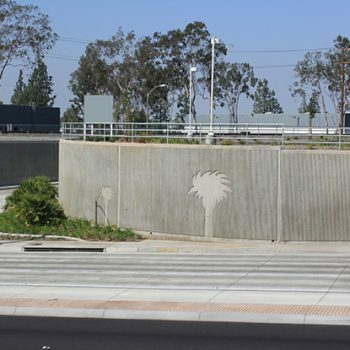 The Valley View Avenue Grade Separation was constructed to significantly minimize these traffic delays, and improve rail, vehicular and pedestrian safety. 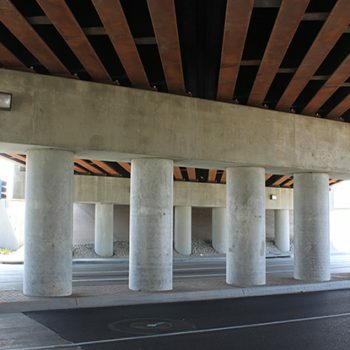 The project was the largest capital improvement project in the City’s history- a very high-profile project with great expectations with an owner who had not managed a project of this magnitude. 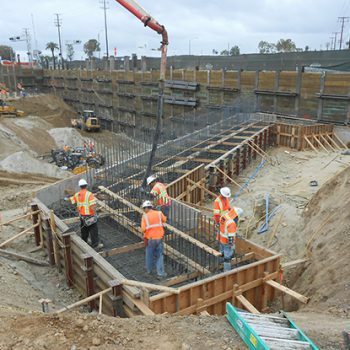 The key component of the project was the construction of a three-track, four-span, steel-girder railroad bridge on CIDH piles that allowed for the lowering of Valley View Avenue by twenty-five feet. 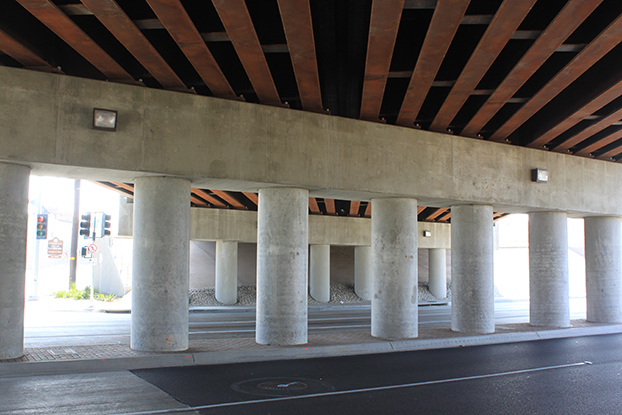 But to build the bridge, there was much preparatory work to perform in multiple stages with pieces that fit together like a puzzle. 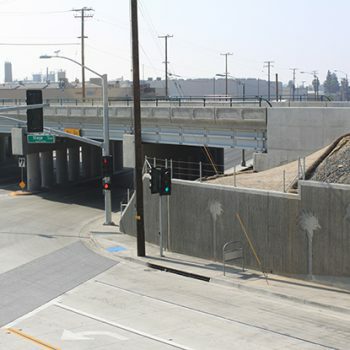 There was a rail shoofly, a detour road, retaining walls, 2,000 lf of new four-lane Valley View Avenue and 1,000 lf of Stage Road, traffic signals and landscaped greenbelts. 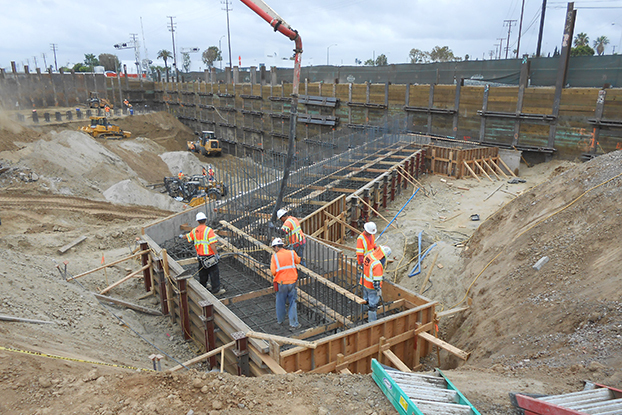 The challenge of this grade separation project was to plan and schedule a tremendous amount of work in a very tight footprint, adjacent to active businesses and residential neighborhoods, while coordinating with nine outside stakeholders for utility relocations, including electrical, natural gas, cable TV, sewer, water, communications, oil lines and storm drain.